Do You Have Smelly Sweat? We all sweat, some less than others, but whether you’re working out in the gym or walking on a hot day, you will likely perspire. However, are you wondering why you seem to smell worse than your neighbor on the treadmill next door? From diet to genes, there are a number of reasons you could be dealing with smelly sweat. 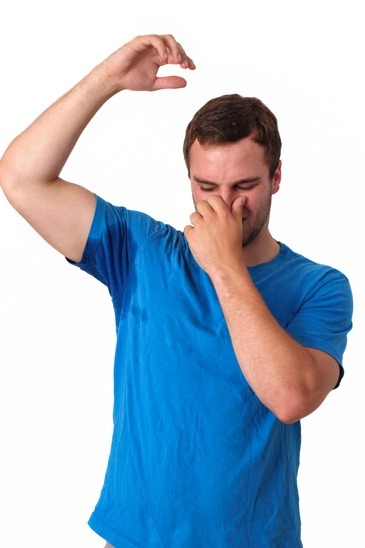 A certain amount of odor from sweat is normal for all of us – especially after the body goes through puberty. This sweat normally comes from the apocrine glands, the glands in your armpits. It’s within these glands that bacteria are able to multiply and break down fat within your skin; this naturally causes odor. When your sweat is especially odorous however, it’s called malodorous sweating, and can be caused by a variety of factors. Consider which one applies to you. -Food: Strong smelling foods can translate into strong smelling sweat: curry, garlic and onions can be the cause of your smelly sweat. 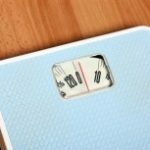 – Excessive dieting: If you are dieting the wrong way – and not getting enough nutrition – your body turns to its own fat and protein to sustain; this can create a strong body odor. – Disease: Diseases such as diabetes have been known to cause sweat that smells of acetone. With a body low in insulin, you aren’t processing sugar correctly, your body turns to fat, creating the same effect as someone who diets excessively. – Genes: For some, excessive sweating is in your family genes. Unfortunately, the more you sweat, the more bacteria will grow, multiply, and breakdown. So, if you know why it’s happening, then how can you fix it? 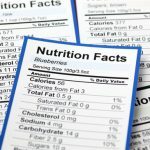 While you may be able to simply avoid eating as many foods with a strong smell, or address a current sickness you’re battling such as diabetes, there are more options for those of you who are simply strapped with bad genes. – Apply D.O. at night: Instead of applying deodorant in the morning, when your skin is likely still wet from a shower; sweat volume is also higher in the morning and can wash off the deodorant before it works. Apply at night when the antiperspirant has a chance to get down into your sweat duct and clog it. – Shave regularly: Shaving regularly will aid in preventing the build-up of bacteria which in turn can reduce odors. Whether you’re working out or just enjoying a day in the sun, sweat is inevitable. However, if you’re one of the many people who suffer from smelly sweat, then it’s time to take to take control. Consider whether diet, disease, food or genes are the cause to determine how you can improve your smelly sweat once and for all.